Cincinnati, July 23, 2018 — Bethesda Inc., co-sponsor of TriHealth and creator of grantmaking initiative bi3, announced its board elected Kathy Kelly as new incoming Chair, replacing Mark Holcomb following completion of his term. Bethesda Inc. also appointed Robert H. (Bob) Collins, MD, Quint Studer, and Clark Handy to their Board of Trustees, according to Jill Miller, president. Dr. Collins and Quint Studer were also named to the TriHealth Board of Trustees. Kathy Kelly is the former president of Kroger Personal Finance for The Kroger Co., where she led its financial products and services offerings before her retirement. 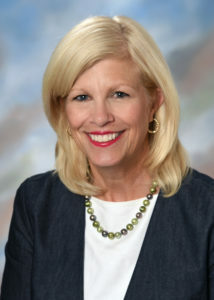 During her career with Kroger, she served as assistant treasurer and director of investor relations for the retailer. Kathy holds a Masters of Business Administration with a finance concentration from Xavier University and a Bachelor of Science degree in finance and economics from Miami University. She also serves on the board of trustees for Easter Seals Tristate, YWCA of Greater Cincinnati and the SC Ministry Foundation. She has been a Bethesda board member since 2012. Dr. Collins most recently served as the Senior Vice President of Quality and Chief Medical Officer for TriHealth before retiring in 2017 after 34 years as a clinician and medical administrator. He oversaw Clinical Quality at Bethesda North Hospital, Good Samaritan Hospital, Hospice of Cincinnati, TriHealth Evendale Hospital and Bethesda Butler Hospital, and two freestanding TriHealth emergency rooms. Dr. Collins is a graduate of the University of Cincinnati, College of Medicine. He completed his General Surgery Residency, Fellowship in Vascular Surgery and Renal Transplantation at Columbia-Presbyterian Medical Center, New York, NY. He practiced General and Vascular Surgery from 1983-2006 with Queen City General and Vascular Surgeons Group in Cincinnati. In 2017, Dr. Collins was named winner of the Business Courier’s Health Care Hero Lifetime Achievement Award and was recognized by the Health Collaborative with the Richard M. Smith MD Leadership in Quality Improvement Award. Quint Studer is the founder of the Studer Community Institute, a nonprofit research-based entity with the goal of improving quality of life. The Institute focuses on early brain development, small business growth and community engagement. Quint also founded the Studer Group, an organization that helps health systems implement evidence-based leadership practices to improve organizational performance. Quint has over 30 years’ experience helping health systems across the country develop healthcare leaders, improve operations and optimize the delivery of patient care. He has been recognized multiple times by Modern Health Care magazine as one of the 100 most influential health care leaders in the country. For over 25 years Clark Handy has provided effective solutions in Executive and Leadership Team Coaching, Leadership Development, Organizational Development, Succession Planning, and Career and Talent Management to public, private and non-profit organizations. Clark has served as the Chief Human Resources Officer of two multi-billion dollar, publicly traded, global companies. He worked with hundreds of senior leaders and emerging leaders globally to improve leadership, performance, and to facilitate culture change in such industries as consumer goods, pulp and paper production, pharmaceuticals and biotech, aerospace, BPO/HRO, and higher education. 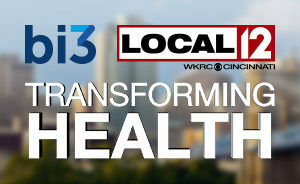 Bethesda Inc. is co-sponsor of TriHealth and creator of bi3, a dedicated grantmaking initiative to transform health in Greater Cincinnati. Bethesda Inc. is a non-profit support organization for Bethesda Hospitals and entities, including Bethesda Foundation, which provides philanthropic support for Bethesda hospitals, Hospice of Cincinnati and Fernside. Visit us at bethesda-inc.org or bi3.org.